Summer is one time during the year when salads truly do sound refreshing and inviting. You may be a lover of a good salad just about any time of year, but even those that are less inclined can be tempted by a good salad in the hotter months. The trick is to build a healthy entree salad that actually satisfies and doesn’t leave you searching for a snack in an hour or two (or wishing there was more right away). As it turns out, there are a couple of simple rules and steps you can follow to make sure your summer (or any time) entree salads come out tasty, healthy, and satiating. I’ll go over my little plan for building a healthy entree salad that satisfies, add in a few of my favorite ingredients you may not have thought about along the way, and finish with a few examples of full salad recipes you might want to try. When you’re building an entree salad, you need to make sure there is enough substance to the contents to constitute an actual meal. One way to do that is to pay attention to the three macronutrients you should find in just about any meal: Carbohydrates, Proteins, and Fats. Now, I know some of you might have macronutrient goals that keep you lower in carbohydrates (keto, etc), but a good starting place for most people is a 40/30/30 ratio (carb/pro/fat). If you follow the general steps below, you should get close. If you want to make sure, just plug your salad ingredients into something like the myfitnesspal app and it will tell you. You can see how to do that HERE. 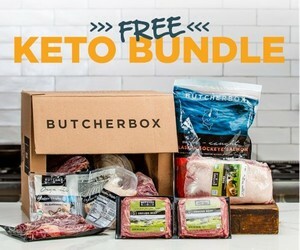 Feel free to lower the carb percentage if you’re doing keto but that’s not something that we promote for everyone here on this site. Of course we start with a bed of greens for just about any salad. Stick with colorful greens that are rich in nutrients. You may have heard that iceberg lettuce isn’t very nutritious and that’s true. It just doesn’t have a lot of nutrients for the volume. Choose greens like spinach, kale, spring mix, or romaine. Next, pick your chopped veggie and fruit toppings. Most of this should be veggies with a little fruit if you’re making a sweeter salad. This is where you can add a lot of crunch and texture to the salad while also adding in some healthy carbohydrates. This step is optional but highly recommended. Consider adding a healthy fermented veggie to your salad for gut health. You might be surprised just how good sauerkraut can be on a salad (ok…sheesh…I said it was optional). Kimchi, pickles, or other fermented veggies really can be great additions to a salad. Also, miso is a great fermented food that can be easily utilized in dressing (see the dressing step). Now that you have a good base of vegetables and maybe some fermented foods for gut health, it’s time to add a healthy protein. This will significantly increase the heartiness of this meal. The protein you pick will depend on your preference and what goes with the other toppings you choose, but here are some ideas. Roasted root vegetables – sweet potatoes/yams, various squash varieties, beets, turnips, rutabaga, carrots, onions. Roasted roots are amazing on salads but you don’t find them that often. My favorites are red and golden beets roasted in olive oil at 400F until soft. NOTE: My personal favorite is the miso-ginger dressing. It gets your fermented step taken care of (though it goes well with sauerkraut too…not joking) AND it has healthy fat. 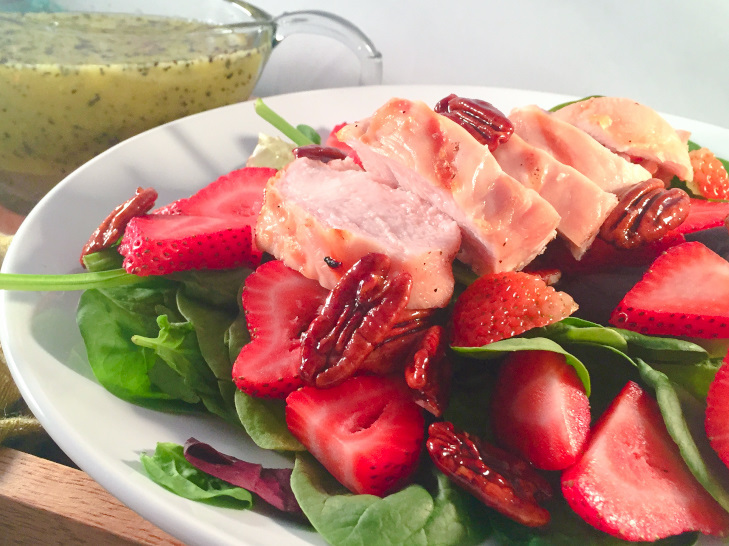 Here are some of my favorite entree salad recipes from our site. They don’t all meet the 40/30/30 requirements and they don’t all have ALL of the steps listed above, but they have most of the steps and provide everything needed for a good healthy entree salad. Never thought of trying sauerkraut on a salad; just might have to try some day.